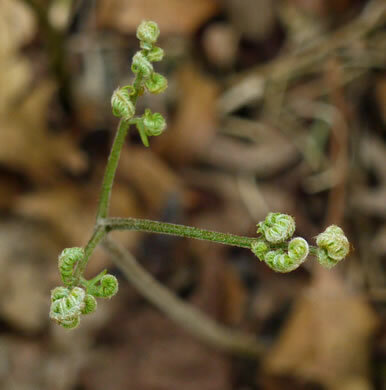 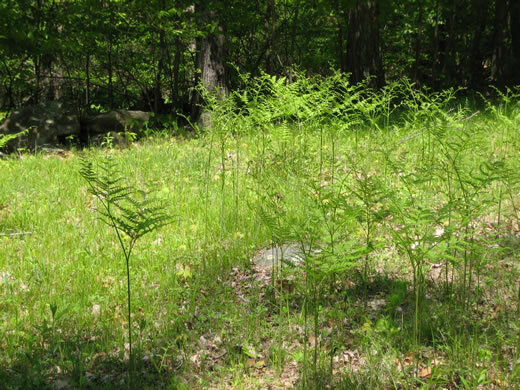 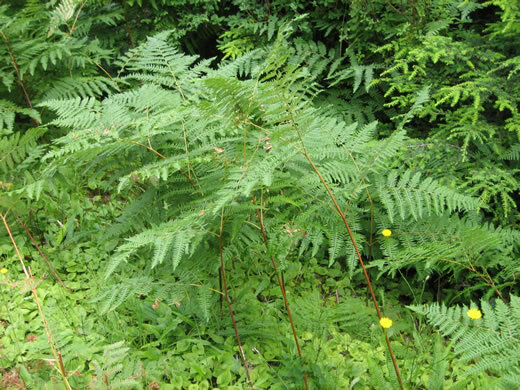 Read random thoughts and musings about Bracken from George Ellison and the Southern Appalachian Botanical Society. 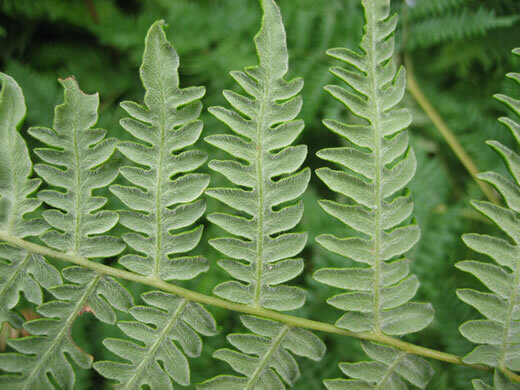 Blade broadly triangular, divided into 3 nearly equal parts, per Peterson Field Guide to Ferns of Northeastern and Central North America. 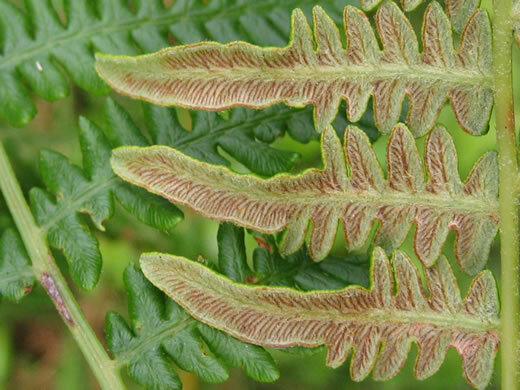 In crosier form, 3 sections of frond uncoil like an eagle's claw opening, per Peterson Field Guide to Ferns of Northeastern and Central North America. 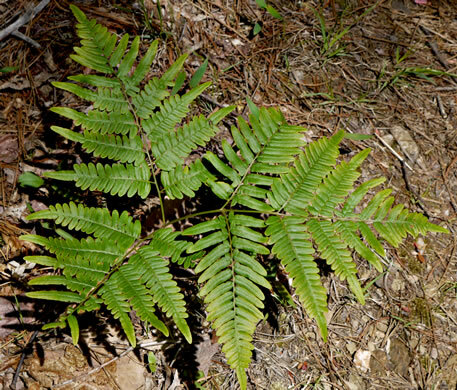 Blade reflexed almost to the horizontal (parallel to ground), per Peterson Field Guide to Ferns of Northeastern and Central North America. 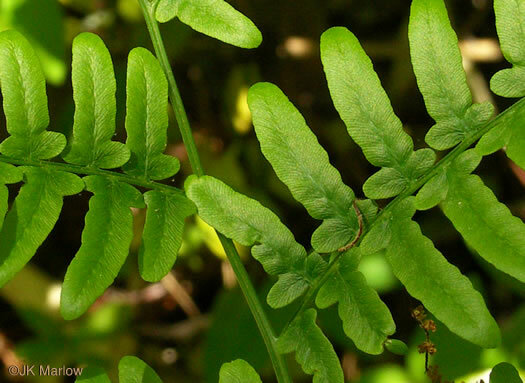 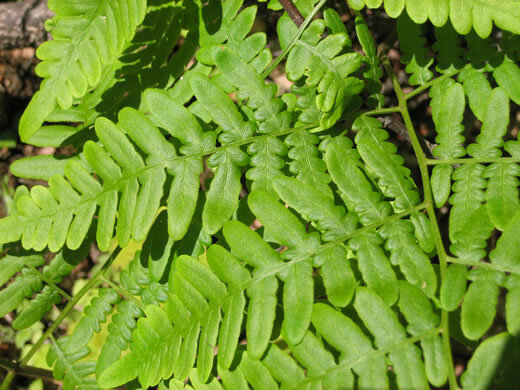 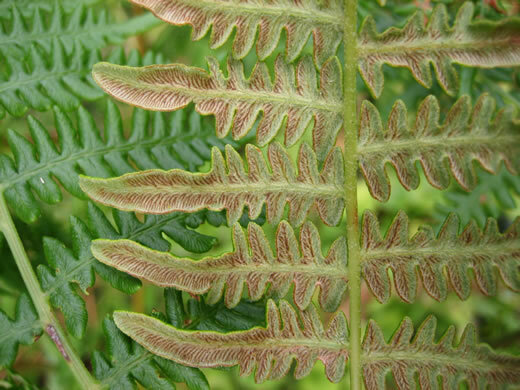 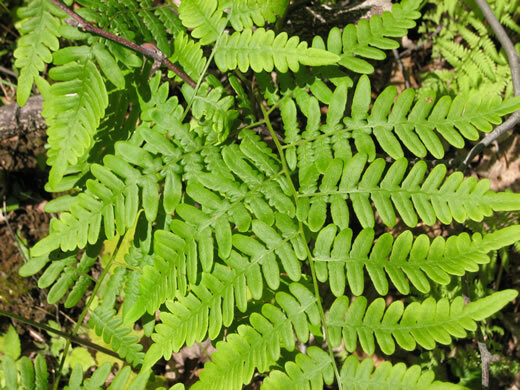 Sori covered or partially covered by the reflexed edges of the pinnules, per Peterson Field Guide to Ferns of Northeastern and Central North America. 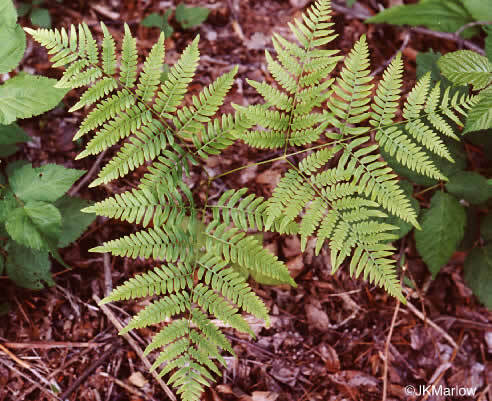 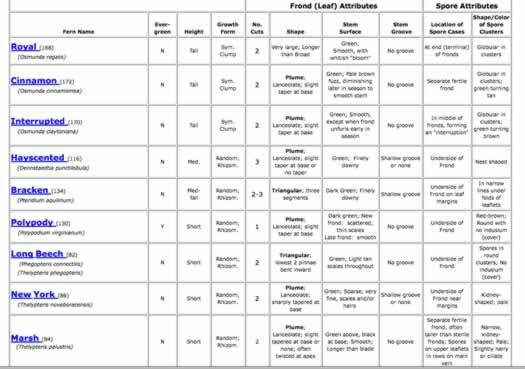 Sori form infrequently in narrow lines near margins of pinnules, per Peterson Field Guide to Ferns of Northeastern and Central North America. 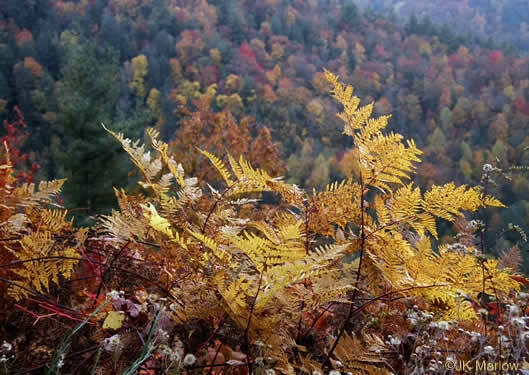 Turns brown in autumn, but does not wither away until following year, per How to Know the Ferns by Frances Theodora Parsons, 1899.